Nvidia’s upcoming GP100 Pascal-based GPU compute numbers has been leaked. 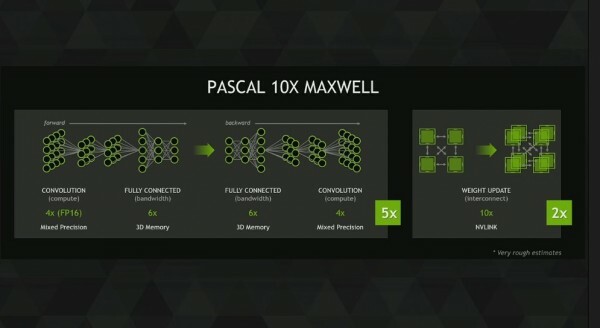 Interestingly, the GP100 GPU is also known as the Big Pascal, and that name really means something. 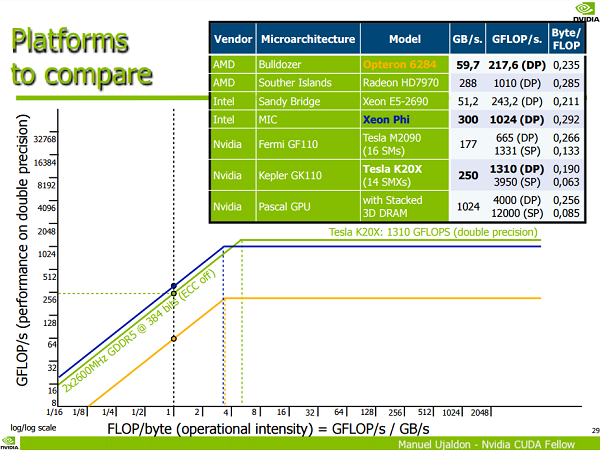 According to a leaked presentation slide from Nvidia’s very own, Manuel Ujaldon, Big Pascal is said to be three times more powerful than the Kepler GK110 GPU architecture. Big Pascal – according to Manuel’s slide – has a double-precision floating point performance of 4 TFLOPS and even if that doesn’t impress you, then surely the 12 TFLOPS single-precision floating point performance will. To put it into perspective, Nvidia’s most powerful consumer-level graphics card at the moment, the GTX Titan X, only has a single and double-precision floating point performance of 7 and 0.2 TFLOPS respectively. 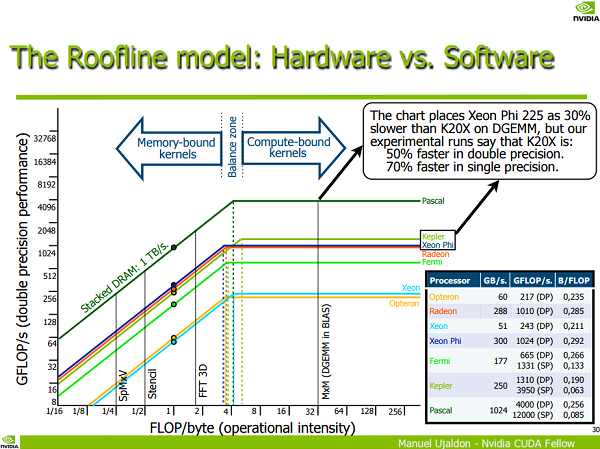 In addition to that, the slide also reveals the fact that Big Pascal will indeed be having a memory bandwidth of 1TB/s. Knowing this, one wouldn’t be entirely wrong to assume that Nvidia will be using HBM2 in its high-end Pascal-based GPUs instead of the more cost-effective GDDR5X. Despite this, the company would probably still opt for GDDR5X with lower-end Pascal-based graphic cards. Then again, this kind of performance may probably only be found on HPC-specific (High Performance Computing) systems, and a toned-down version of Big Pascal with slightly lower floating point performance would be made available for consumers instead. Regardless, take this information with a grain of salt, at least until April, where Nvidia is expected to reveal more information about the Pascal microarchitecture at its GPU Technology Conference 2016.